Hello and welcome to the Leadership Done Right podcast, Episode 4 – Why Leaders Should Set a Positive Example. When you are the leader, people watch everything you do. They listen to the things you say and watch your body language as you talk to others. People also pay close attention to what you do and don’t do and the daily decisions you make. They pay close attention because they will follow your positive example and base their actions on what they think you feel is acceptable and not acceptable. Great leaders understand that they set the positive example for those they lead. They know that they cannot expect their followers to do anything they are not willing to do themselves, so they set the best example they can for their followers. In addition, great leaders realize that everything that happens around them starts with what they do. If they set a positive example, people are more likely to do good while if they set a bad example, others will more likely make poor choices as well. To set a positive example, great leaders take the initiative and determine how they are going to act in any given situation before the situation arrises so that they can make good decisions in the moment. Several years ago I had a leader that set a positive example for me and those I worked with. He never expected us to do anything he wasn’t willing to do himself. As our leader, he taught us three great lessons about how you can effectively lead by example. To lead by example, it is very important to teach your followers how to be good leaders by following successful leadership principles. This teaching is most effective when given as verbal explanations. It can be done one-on-one, in group discussions, and even in a classroom setting. 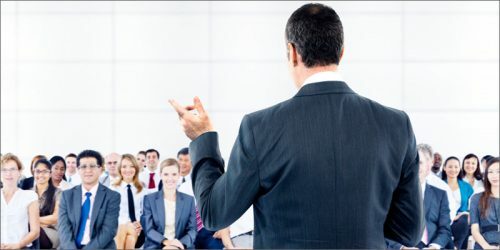 As the leader, verbally teach your followers how to be good leaders and what they can do on a daily basis so they can lead effectively when called upon. After the teaching phase, you can lead by example through your actions. You show your followers how to use the leadership principles you have taught them. It is important for your followers to see you living the principles you taught. When you lead by example, your positive example proves to your followers that they can effectively live the principles you taught them. It confirms that the principles really are effective. Take time to help your followers live the principles you’ve taught. Observe them as they lead others. Then sit with them to give feedback. Your feedback will help them understand how they can improve their leadership skills. One very effective way to give your feedback is in a coaching session! When you provide feedback in a coaching session, you help them to be better in a safe environment where they can learn and grow. Explain things they have done very well and also what they can do to be more effective. Be sure to give this feedback in a spirit of love and improvement so they improve and become better. If the feedback is given with a spirit of judgement or arrogance, instead of improving, they may feel frustration or resentment towards you as their leader. That will likely do more harm than good. These three aspects to lead by example changed the way I approach leadership. Thy helped me to be a better leader. I encourage you to put these three principles to the test to see if they will improve your leadership! Thank you for listening to this episode of the Leadership Done Right podcast. If you would like to hear the next episode of this podcast subscribe to this podcast on iTunes, Stitcher, or whatever other podcast platform you use. You can also check out the full list of episodes at LeadershipDoneRight.com/LDRPodcast. I would also like you ask you a special favor. If you enjoyed listening to this podcast, I would really appreciate it if you go to iTunes to write a review of this podcast with your feedback. I read every review and will do my best to make this show the best it can be based on your feedback. That will also increase the visibility of this podcast and help other great listeners like you to hear about it.